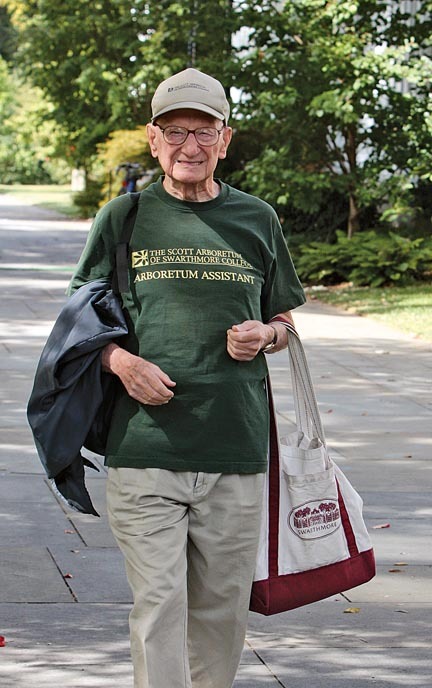 Bob Thompson spends three and a half to four hours a day, five days a week, delivering Arboretum messages to campus offices. A popular figure around campus, Thompson spends each morning, five days a week, carrying mail between various campus offices and Cunningham House, where he has been a fixture since 1990, logging more hours than any other active volunteer. 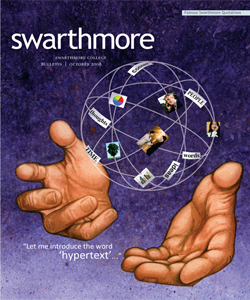 Thompson’s service to the Arboretum isn’t his only link with Swarthmore. During World War II, as an inspector and, later, assistant to the manager of turbine and nuclear services with Westinghouse, he was chosen—along with other bright young employees—to attend evening classes in mechanical engineering at Swarthmore as a participant in a government-sponsored education program. After the war, he enrolled in academic programs at Drexel University and the University of Pennsylvania, where he obtained certificates in purchasing, quality control, and metallurgy. “The classes were available for free if you qualified, and we fellows were hungry for education,” he says. A former 15-year board member of the Delaware County Historical Society, Thompson is a member of the Concord Historical Society and recipient of its 1998 Volunteer of the Year Award for exemplary service. Last year, Thompson undertook a research project, investigating the stone sundial that stood for generations on Parrish lawn. It was moved in the 1980s during reconstruction of the lawn and is currently stored under the bleachers alongside Skallerup Track. “I researched the sundial because my picture was taken in front of it when I was attending classes here, ” he says. 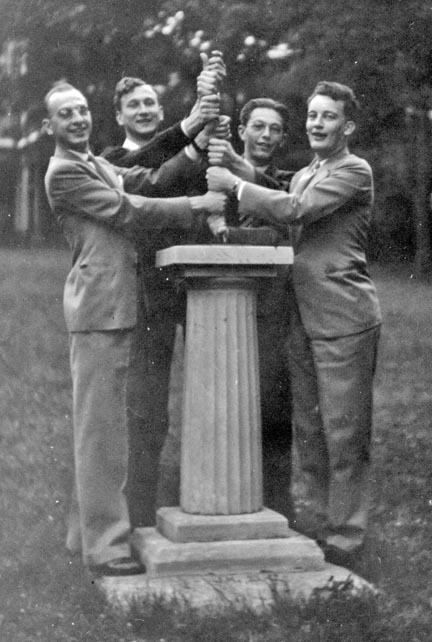 More than 60 years ago, Thompson (far left) posed with fellow students around the old sundial. Thompson found that the sundial was a class gift to the College in memory of Howard White Jr. (1875-1903), a member of the Class of 1895 and son of Howard and Helen Comly White, both of the Class of 1875. Both Helen White and her younger son, Barclay White of the Class of 1906, were members of the Board of Managers. Thompson’s love of his job, his work setting, and his many friends on campus—not to mention further research projects lurking beneath the bleachers—may just keep him at the Arboretum for another 15 years, where all those who are hungry for a sweet treat will continue to look forward to the weekly deliveries by the cookie messenger.